Ready in MAY! The Plymouth features 1496 square feet of spacious living with 3 bedrooms, 2 bathrooms, a full unfinished basement, and 3 car garage. Additional features include wood floors, enlarged kitchen, A/C, granite countertops, full tile backsplash, stainless steel appliances, 42 upper cabinets with crown molding & hardware, full tile in master bath and the list goes on. As about our $5000 Builders Incentive! Driving directions: Take Harmony Road east to Club Drive. Head south. Street turns into School House Drive. Follow around to the east side of the school to Wheatfield Lane. Turn right. Go to Long Drive. Turn Right. Follow Long Drive to the desired street. Please, send me more information on this property: MLS# 854642 – $395,355 – 7113 Silver Ct, Timnath, CO 80547. 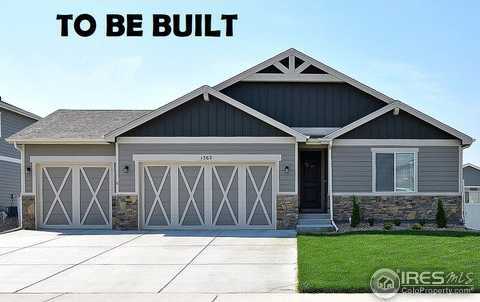 I would like to schedule a showing appointment for this property: MLS# 854642 – $395,355 – 7113 Silver Ct, Timnath, CO 80547.